The Designers Institute recognises New Zealand’s best graphic, interactive, product and spacial design. We are proud to announce that the BNZ branch at Northwest is a finalist for the Best Spacial Design, Retail Environments Award being presented on 14 October in Auckland. RCP have provided programme management and project management services for BNZ to update their property portfolio containing circa 190 stores nationwide. With the assistance of RCP’s programme Management experts and industry leading systems and processes, the upgrade has provided for simultaneous delivery of enhanced technology, agile workspaces and tailored fitouts which maintain the integrity and goals of BNZ’s refreshed corporate identity. 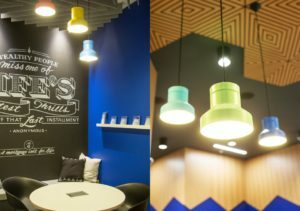 BNZ has embraced a flexible yet uniquely identifiable design across all of their branches which improves the experience for their customers. RCP are proud to align themselves with the iconic BNZ and pleased to deliver their vision for the New Zealand market. Information about the awards and the event can be found here. We wish the team all the best for the awards and look forward to seeing them on the winners podium.